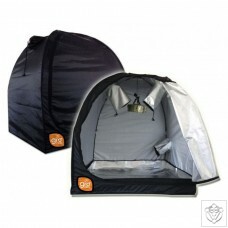 Grow tents provide the ideal enclosure for indoor hydroponics cultivation. They are quick and easy to assemble and they are capable of supporting all of the heavy equipment that is required and with inlet and outlet holes fitted, you can easily extract the hot stale air away and supply clean fresh air back inside. 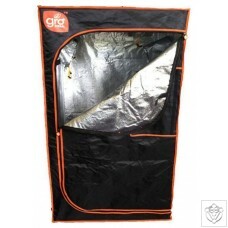 Specifications: Completely Light-tight, waterproof and air-tight material Silver Mylar lined interior for maximum use of light Polyester aluminium coating inside Velcro fasteners Mylar Siler, SBS Zips, thick Cloth 100% PVC FREE - WILL NOT KILL YOUR PLANTS Removable water-proof floor tray for spillages ..
Grow tents provide the ideal enclosure for indoor hydroponics cultivation. They are quick and easy to assemble and they are capable of supporting all of the heavy equipment that is required and with inlet and outlet holes fitted, you can easily extract the hot stale air away and supply clean fresh air back inside. Designed in Germany under brand name of “groCELL”, it can feature three independent low weight lighting sources: LED, CFL and T5 with low energy usage, less heat, great coverage without a reflector. Easy and quick assembly, allows gardeners to grow the plants with most growing system on the market. The “groCELL” Pyramid..